As part of the Advent Craft Festival again this year, the Children’s and Youth Ministry committee would like to include an activity that gives the children and youth of UPC, as well as other members, an opportunity to reach out to children in the community. We will be collecting non-perishable food to support the Weekend Meal Backpack Program sponsored by TABLE. The meal bags will be packed by Advent Craft Festival participants on November 19, and the bags will be transported to TABLE. Click here for more information on this program. 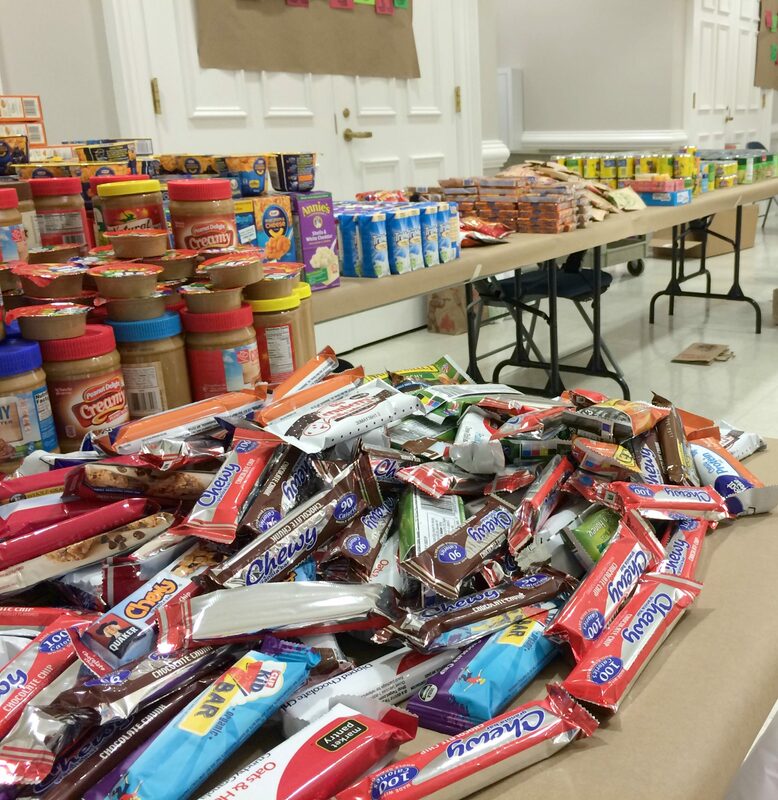 Members of the congregation who would like to contribute are encouraged to bring small plastic jars of peanut butter or entrées, such as single servings of macaroni and cheese (individual cups, not boxes), cans or boxes of soup, canned tuna, canned pasta or ravioli, Hormel Compleats, etc. Please get pop top lids if possible for canned goods. Collection tubs are located in the Parlor and inside the Henderson Street entrance. Please bring food contributions no later than Sunday, November 12. Children and youth are invited and encouraged to bring in food contributions on November 5 and November 12. To ensure we collect enough of each type of food, each grade level has been assigned an item. We hope to collect 100 of each item so that we can pack 100 meal bags… so please feel free to bring in several! 3 & 4-year-olds: Entrée, such as single servings of macaroni and cheese (individual cups, not boxes), cans or boxes of soup, canned tuna, canned pasta or ravioli, Hormel Compleats, etc. Please get pop top lids if possible for canned goods. 4th grade: Entrée, such as single servings of macaroni and cheese (individual cups, not boxes), cans or boxes of soup, canned tuna, canned pasta or ravioli, Hormel Compleats, etc. Please get pop top lids if possible for canned goods.